Part Used & Method for Pharmaceutical Preparations: The aerial part of the entire plant is gathered in summer, dried in the sun and cut into pieces. 1. Blood stagnation manifested as amenorrhea, dysmenorrhea, irregular menstruation or postpartum abdominal pain. 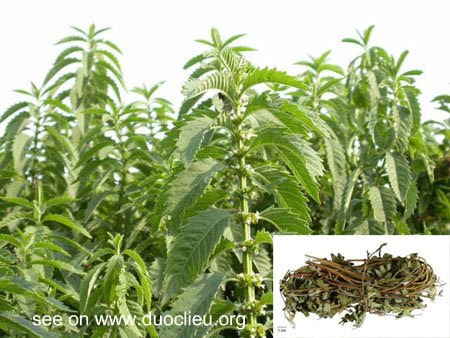 Bugleweed (Zelan) is used with Chinese angelica root (Danggui), Red sage root (Danshen) and Red peony (Chishao). 2. Chest pain or hypochondriac pain caused by external injuries. Bugleweed (Zelan) is used with Curcuma root (Yujin) and Red sage root (Danshen). 3. Carbuncles, furuncles, swellings. Bugleweed (Zelan) is used with Honeysuckle flower (Jinyinhua), Chinese angelica root (Danggui) and Licorice root (Gancao).